Microsoft may have some big plans for its Windows operating system. We’re hearing that the company is working on a new version of the OS. The so-called “Windows lite” operating system will reportedly compete with Google’s Chrome OS, which is the operating system used by Chromebook laptops. According to Windows Central, the “Windows lite” operating system is code-named “Santorini.” It’s unclear why the company may have named the new OS after a Greek Island, although that would be better than just keeping it as “lite.” The folks at Windows Central speculate that referring to the new OS as a “lite” version of Windows may be rather misleading. 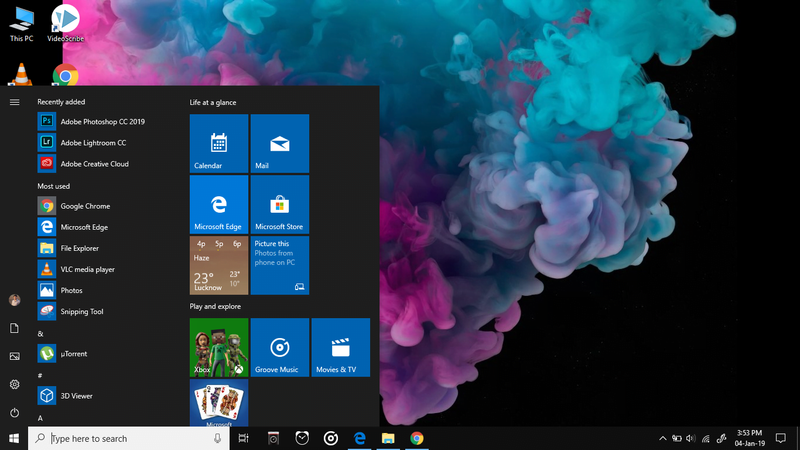 They suggest that rather than being a simplified version of Windows, the new OS will be something entirely different: an operating system designed for “lightweight computing” like the Chrome OS used on Chromebooks. The Chrome OS uses Google’s Chrome browser as its main user interface, as a result, it supports mostly web applications. Microsoft’s current web browser, Edge, has never been as popular as Chrome, and its predecessor, Internet Explorer, fell out of favor when Chrome arrived on the scene. Thus, it will be interesting to see how the user interface of the “Windows lite” operating system will work. However, we should note that previous rumors suggested Microsoft was working on a Chromium-based web browser, so the idea may have come from there. Windows Central believes Microsoft will talk about the new “Windows lite” operating system at its Build developer conference in May. It is expected that the system will ship on foldable computers. The tech blog also expects the company to reveal two other versions of Windows code-named “Centaurus” and “Pegasus,” which are expected to ship on traditional laptops and two-in-one devices, respectively. The Santorini / “Windows lite” operating system isn’t the only interesting thing Microsoft is believed to be working on right now. The company is expected to unveil the HoloLens 2 at the Mobile World Congress in a few days. Earlier this month, Alex Kipman, Technical Fellow of AI Perception and Mixed Reality at Microsoft, posted a teaser video about the HoloLens 2, so the big reveal is probably right around the corner.